Receiving a gift or freebie is always nice. It makes you feel special and gives that “something for nothing” triumphant feeling. But what can make that gift go from nice to fantastic? When selecting the type of merchandise to provide you should first think about what is valued and meaningful to your receivers. Value doesn’t just mean the price of the product; it includes both intrinsic and extrinsic value. A good understanding of your target market can be used to brainstorm ideas for what is important here. One example would be the perceived value of merchandise branded with a company that is important or relatable to the individual; think about the amount of money spent on a famous sports team’s merchandise every season. This could mean being selective of who receives customised merchandise and identifying those who value your brand for deepening loyalty. Another approach to increasing value is to customise merchandise to the individual as well as your brand. This could be their name, their team, the team’s moto; anything that enhances the intrinsic value for the receiver. These are just two examples, but every brand and promotional strategy is different so think specific. Giving meaningful gifts is vital for the effectiveness of personalised merchandise. Consider general concepts like if it is useful for the individual and if it aligns to their self-perception. Looking broadly at millennials as an example, reusable eco-friendly coffee cups made from recyclable materials are a good example of a truly meaningful gift. This can be used every day (possibly many times) and align to the ethical views and therefore self-perception of many in this generation. Looking to go the extra mile? Deliver merchandise individually with a personalized note; everyone likes to feel special, and these positive feelings will be attached to the merchandise and thus your brand. The thought may have crossed your mind; why are we doing this anyway? You see companies giving out branded merchandise on a regular basis but what are the benefits of doing this? Gift giving promotes positive feelings towards your brand, increases liking, triggers the desire to reciprocate and, if your merchandise is used, encourages receivers to commit to your brand over others when there is a purchase choice. There are many effects of gift giving which cumulate in positive emotions such as happiness. Okay, but why do we need happy customers? Happy customers are more receptive to recommendations and more likely to say “yes” to signing up to a newsletter, making a purchase, committing to a subscription, and more. Simply, they will associate happiness with your brand. Receiving a gift increases your liking for the giver. This is the same for merchandise; free stuff equals liking of the person and the company you receive items from. This liking increases the desire to agree and say “yes” to proposals. The receiver is likely to feel friendly and good-natured towards the person or brand and wants that feeling to be mutual. It is good to remember that people are hardwired to build friendships and social connections which come from liking. The best way to understand the phenomenon of reciprocity is to think of an example when you have consciously or unconsciously been subject to it (and trust me, it’s all of us!). Think of a time when someone has bought you something, whether you wanted it or not, and you have nothing to give back. It feels awkward and, even if you try to turn down the gift, they will often insist meaning you feel even worse. This often ends with the conscious or unconscious desire to give or do something in return, even if you didn’t want the gift. Weird right? Society dictates the correct response to receiving is giving, and for most of us, this is hard to ignore. For merchandise this means that if you give, say a free pen, the receiver will feel motivated to do something in return; in this case sign up, make a purchase, or at very least smile at you! People like to identify with a brand or group and commit to this choice to appear consistent. Consistency is a cornerstone of social interaction as it affects others’ perceptions of you. If you can get a potential customer using branded merchandise daily, they are more likely to choose your brand over others. Even better, if this product is seen by others, this reinforces the desire to appear consistent in front of work colleagues and/or friends. Nobody likes a flake! Pick the right branded merchandise, and your business can capitalise on all the benefits of gift giving. Want to increase customer loyalty? Merchandise! Want to develop your employees’ identification with their team and leadership? Merchandise! Want to reach out to a new customer base? Merchandise! We all love a freebie, and now you know how that helps you! We're already a month into 2019 which means here at Promotional Items we're starting to get a good idea about trending products for the year. So far, it looks like a lot of classic products are drawing attention with modern looks. Start your next round of marketing right with our range of best-selling custom merchandise featuring your logo branding. Branded Calico Bags: Aussies can't get enough of these bags which are just as sturdy as non-woven products, but made from eco-friendly calico material which is produced naturally. As a country, we're starting to do away with products that aren't great for the environment, which means we've seen a surge in calico bag interest from companies wanting to improve the sustainability of their marketing range. 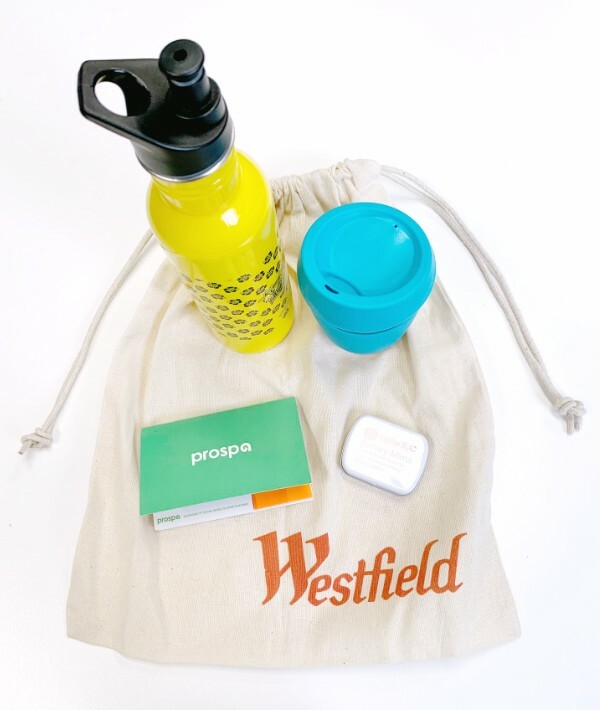 See the Westfield branded bag to your left -- this is the future of shopping bags in Australia! Promotional Drink Bottles: We've been in the grip of a terrible heat wave here Down Under this month, which means that staying hydrated has become a real priority for people across the country. Our range of reusable, BPA-free drink bottles is ideal for handing out at sporting events, tradeshows, or expos because recipients can use them straight away and ensure they stay healthy and hydrated. Logo Sticky Note Sets: If you're after a cheap promotional product that will actually get used, you can't go past our custom stick note sets. Hand them out in show bags or to conference attendees; they'll find new homes on desks across the country and be within eyeshot for straightforward marketing exposure. 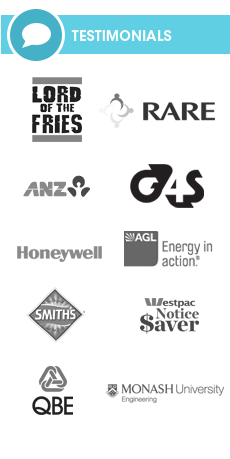 Best of all, we make sticky notes in Australia, so you're helping to support local industry. Yummy Expo Mints: There's nothing worse than bad breath in the office or when you're meeting new people. Our expo mints come in pocket-sized tins meaning they can be carried anywhere, and they are manufactured to Australia's high food safety standards. We print your logo on the case, or directly onto our special range of mints. Perfect for o-weeks and large-scale events, everyone loves keeping their breath fresh! 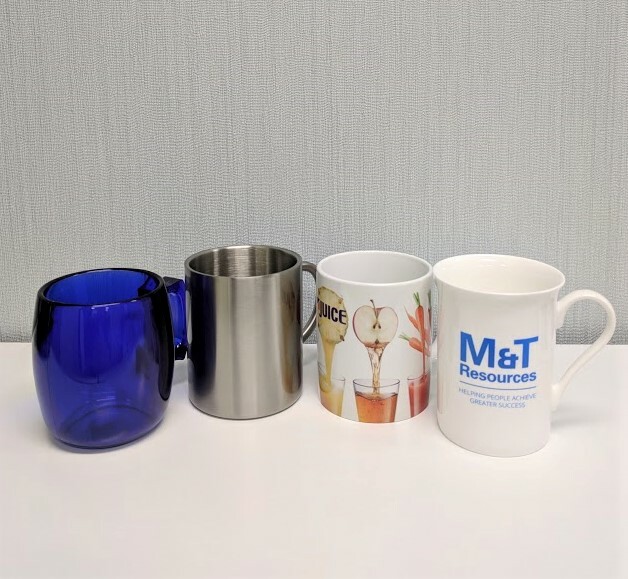 Personalised Reusable Cups: Our reusable cups have been increasing in popularity over recent years as Aussies try to minimise the impact of their daily coffee, but in 2019 it's all about the glass reusable coffee cups. Rather than using a plastic cup body, these exquisite cups are manufactured from shatter-resistant glass and come with printing on the silicone bands. Join the eco-friendly revolution with these great products in the new year! None of these speaking to you? Don't worry, our team of sales professionals can guide you to selecting the promotional products that best suit your campaign goals. Contact us today for more information! 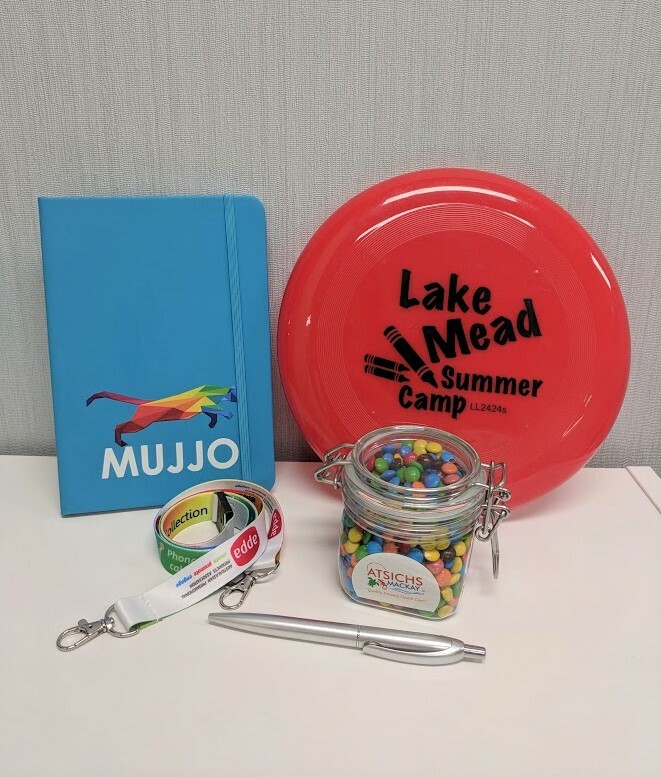 Summer is a great time to grab some promotional items. People are out of the house more and the social calendar is busier than ever with Christmas parties, Holidays and New Year celebrations. Whether you’re hosting an event this summer or just attending the many invites you’ve received, this is a great opportunity to get your brand out there and there’s no better time than the present so get your orders in now! If you need some inspiration, look no further, these are all amazing items for the summer! Personalised Stubby Holders: essential at any bbqs, picnics and festivals. Not only do these keep your can cool, they also keep you looking cool. There’s so many great printing options available for these from a basic 1 colour logo, to a fully customised colour print. Promotional Cooler Bags: these are sure to turn heads at beaches and parks this summer! Great for drinks and food and always handy to have in the house. Pick a premium, durable style to maximise the reuse potential of these! Logo Printed Bucket Hats: simple, useful and effective. Perfect to hand out at large events they are always appreciated. Get creative by choosing a fun Straw Hat design to add some novelty and fun to whatever event you’re hosting! Corporate Diaries for 2019: the start of summer means the new year is on its way! Promotional diaries make a great Christmas present and will, in turn, benefit your business by keeping staff organised throughout the new year. And on weekends they’ll be used for scheduling catch-ups with old friends over a few drinks in the garden. Cheap Custom Event Sunglasses: essential protection and a bold fashion statement. No one should be leaving the house with their skinnies this summer so why not take it as an opportunity to get some great brand promotion out of them! Make it a bold statement with bright colours and prints available, as always, the sales team are on hand to help make your design a reality. Hand them out at festivals and events for those silly people who forgot theirs and you’ll be deemed a life saver! Thirst. What better way to refresh that thirst than an ice-cold beverage. This is no problem when you have a promotional stubby holder. 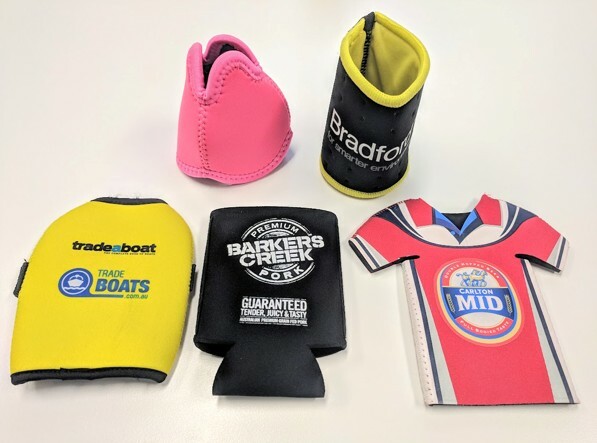 Promotional stubby holders, keep your drink cool and prevent you from getting the dreaded icy and wet hand that can occur with this. 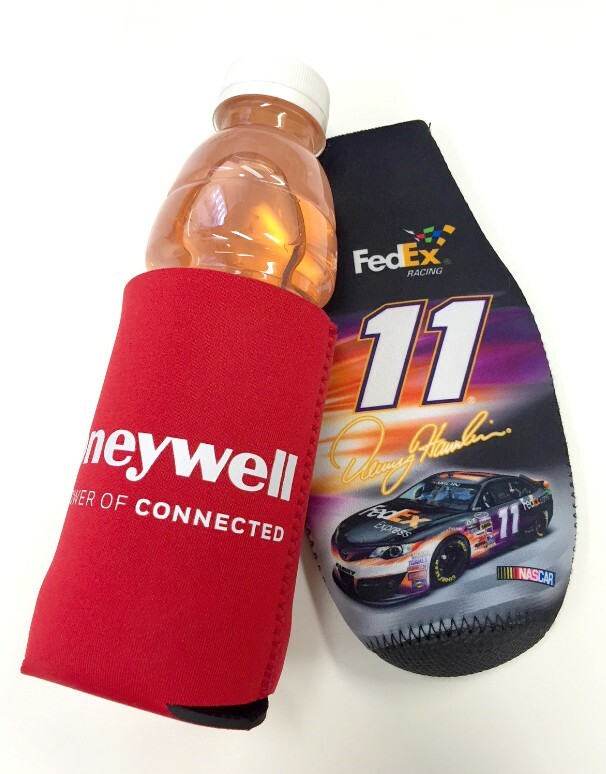 So you have your perfect Promotional Stubby Holder, and now you need a drink, no problem! Sparkling Water. Yes, posh water is on my top list. It’s refreshing, natural, sugar-free and with the bonus of being calorie free. I like it best really cold, which is where my promotional stubby comes in. My favourite combination is sparkling water and avocado on toast from a local café. Kombucha. I am a newbie to Australia and have seen Kombucha everywhere. My first sip and I was hooked. It has great benefits for the body, and I love how popular it is, not only in cafes but in almost every supermarket that I have been in. I love this in the morning before I head to work to start my day. San Pellegrino. This is my go-to drink when I need a sugar kick and want to sit back relax on my balcony with my favourite sarnie. It’s Italian and has an original taste that I love. Iced coffee. Coffee gets me through the day. Every. Day. When the days are hot, I like to go for an iced coffee, while walking along the beach or a local park. The caffeine hits the spot and being iced, cools me instantly. If you want more ideas related to stubby coolers or any other product, contact our sales team for more information. 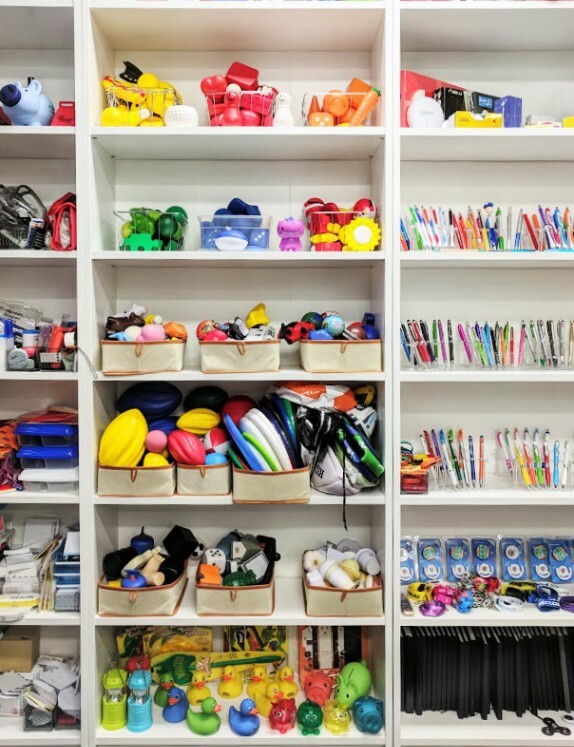 What do you think of when you think of office essentials? The three items that spring to mind for me are the USB drive, the pen, and the notebook. Just imagine your office life without a pen. It’s unfathomable. A promotional pen with your logo on it is a staple. We print your logo on any pen of your choice, whether it be a classic like our Metal Barrel Pens or something a little bit more special like our Colourful Modern Pens which you can laser engrave onto. This is the ideal item to give to your clients who will constantly be reminded of your company through your logo of choice. Our The Gates Executive Pen is a great choice if you need something a little bit more memorable than the ever popular plastic pen. It comes in several premium colours so you will not be stuck for a choice that works with your logo. 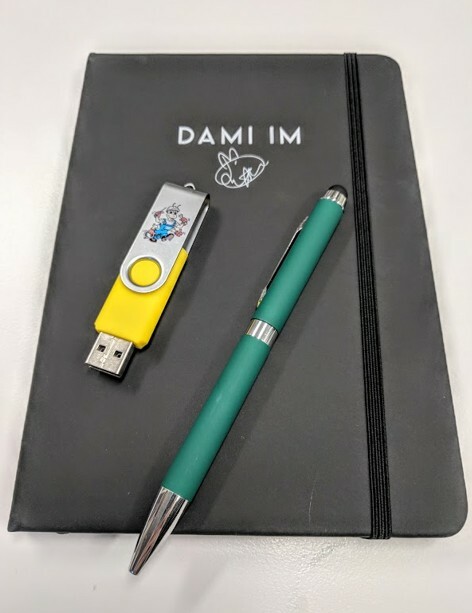 If you haven’t already got a promotional pen for your company, now is the time to take action and call our Sydney based office to receive a free quote within the hour. If you thought office life without a pen was hard, imagine it without the notebook. With countless phone-calls, we can’t expect our minds to remember everything so with our Leather Look A5 notebooks, you will be receiving a great value notebook that can be used for all your notetaking or even doodling when your mind drifts off the odd time. We won’t tell! The best thing about getting your notebook from us is that we can brand it with your logo or any words of your choice by pad printing, screen printing and 4CP digital printing. The choice is yours and we know that your clients and employees will be extremely impressed. If storing vital information on a USB drive is more your game, we have got you covered. These days everything is in the cloud, but nothing will work more systematically and feel more secure than having your information stored on the USB drive and we have 100’s of different styles to choose from. Our simple swivel USB flash drive is a classic and our most popular as favoured by our customers. It has a simple design that can come in a colour of your choice and personalised with your logo. Your clients and employees will be sure to think of your company every time they use it. Have a look on our website to check out our range as we have so many to choose from such as wooden, slim or classic plus many more and they also come in a range of capacities to suit your needs. If you’re planning your next conference and unsure of what promotional products you need read on to find out products every conference should have. Customised lanyards are simple items but so effective! They enable you to easily identify guests, staff, security and much more while showcasing your company. They are extremely useful as they also allow you to carry things like pass cards, tickets, pens and keys. Everyone loves this concept as nobody wants to risk these things falling out of their pockets at a conference, people would struggle to find them ever again! Everyone needs to take notes and write down ideas, hence why logo emblazoned notebooks are a must have at your conference. Having them from the get-go at your expo or conference encourages your customers to use them there and then. This consequently means they will continue to use the notebook, branded with your company’s logo, once they have left. Cheap promotional pens are a must for every conference regardless of the industry. Everyone uses pens daily making them a great way to promote your business. You can have them as a giveaway gifts as they do not break the bank then you have automatically given your company a huge boost. Customers will take these pens everywhere. Therefore a wide variety of people will end up seeing your brand. They are a no-brainer! Who does not love candy?! Promotional confectionery is a great way to get customers attention. Personalise them with your company logo and your guests will be sure to appreciate them! You can get our branded confectionery in a range of packaging such as cello bags, plastic tubes and glass jars plus many more options, so there is a product to suit everyone’s requirements. Lastly, but not least, is promotional toys. It doesn’t matter what age you are targeting there are fun toys adults and kids will love. Toys are perfect for marketing use as they are well shared meaning your branding is exposed, not just to your customer but to anyone else that wants to share a good time with them. This, therefore, doubles your marketing exposure! Another no-brainer! Read on for more information about three of our favourite promotional products which can be used around the house. This Pen and Tape Measure Combo item is brilliant for around the house. You don’t realise how many things you use a tape measure for and you’re always sure to need a pen at the same time. It is an ideal size and isn’t going to take up tonnes of room in the kitchen drawer which is always handy! You can get this in four colours and of course, it can be customised with your logo. Who doesn’t love pizza? The Roma Pizza Cutter is a classic item that is used in nearly every household! Whether your vegetarian, vegan or an omnivore you can eat pizza so what better promotional item to have… This product also suits people of all ages so will be a huge hit all round. The branding area of this product is a perfect size enabling you to showcase your company logo. 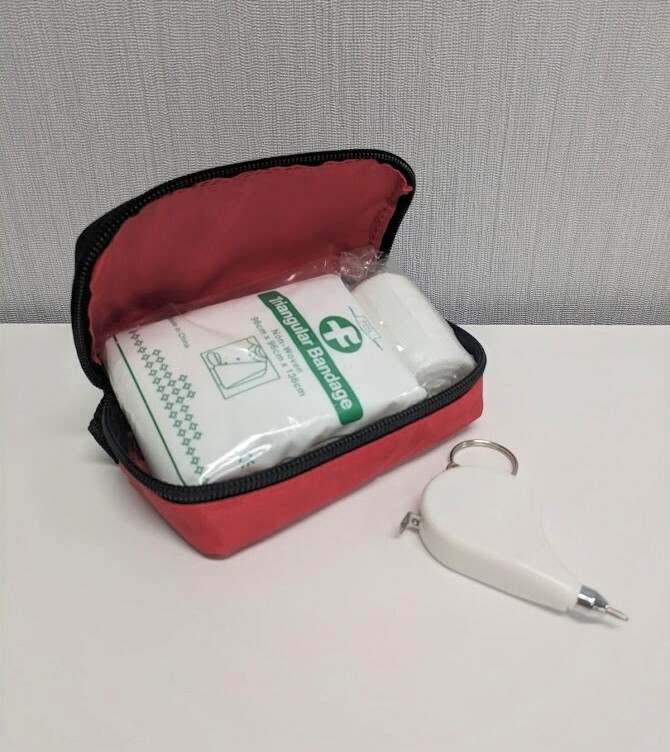 The Compact Promotional First Aid Kit is an essential item in any household. which makes it an ideal promotional gift. It is practical and bound to be used. You can even take this on holiday with you as it is compact and does not take up a lot of room! It contains everything you would need for everyday accidents which is why it is one of our favourite promotional items. It can be custom branded with your company logo and are perfect for companies in the medical field and travel industry. Whatever type of promotional mug you are after there is sure to be a type that will meet your requirements. Check out the different types of mugs you can customise with your brand. Practical plastic… It is precisely what you think! Plastic mugs are brilliant, especially for outdoor events. They are lightweight, durable and are available in a variety of colours. Also, you don’t have the added stress of them smashing if they are accidentally dropped. It’s always nice to know your brand's merchandise is going to survive surprise accidents and last for many years. You then have the option of stainless steel mugs. Similarly, to the plastic mugs, they are exceptionally good for outdoor events. They can be used for hot and cold drinks alike and are very durable as well as shatter-proof. They are smooth and comfortable to hold and look super classy once your logo has been laser engraved! Stainless steel promotional mugs are the kind of smart promo gift that can be used any time of the year. Thirdly you have your regular ceramic mugs which are the most commonly used mugs. As these are made from clay, they are one of the most cost-effective mugs but aren’t as refined as other types. They are fairly durable and won’t break easily but are slightly heavier than the other types of mugs. Lastly but not least, there are porcelain mugs. These are excellent premium quality and have a smooth, shiny surface unlike the duller surface of a ceramic mug. Too many people surprise, porcelain is remarkably strong therefore they do not need to be as thick as a ceramic, making them lightweight and look more refined. Personally, I don’t think you can beat a good old classic ceramic mug as they tend to have big comfortable handles as well as a large capacity so being a big tea lover they are great for me! That’s not to say I wouldn’t love to have a classier porcelain mug! But whatever option you are after we have it all. 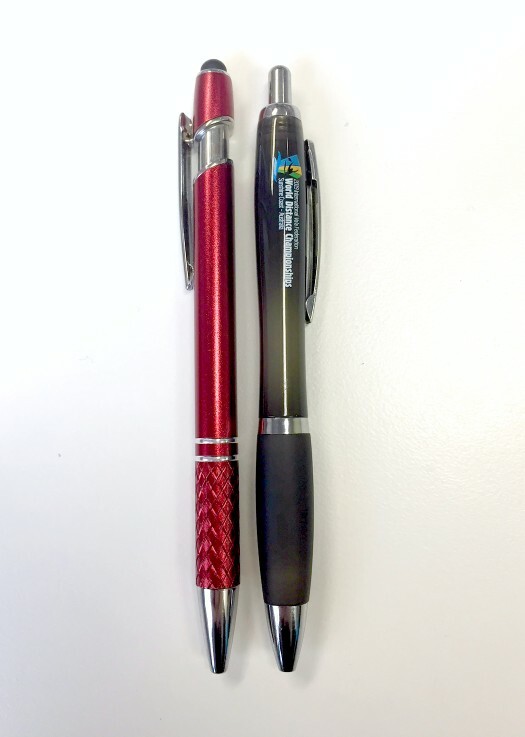 Should I Buy Metal or Plastic Promotional Pens? The importance of having the right pen is something that is widely overlooked until you get given a pen that just doesn’t compare and feels wrong to use. If you want to find out all the little details and which promotional pen suits you then read on. Plastic promotional pens are, of course, the cheaper option so are great for people who have a tight budget. But don’t be put off and believe they are plain and simple because of this! You can customise them in many ways including pad printing, screen printing and full-colour digital print making them eye-catching and exciting. These pens are lightweight and come in a variety of colours making them perfect for your next business event. Our Coloured Parky Pens are a great example of promotional plastic pens. You then have the option of metal promotional pens. Due to them being made of a higher quality material they are obviously more expensive. However, spending that extra bit of money really can be worth it! Metal pens are often more reused as they look incredibly pleasing to the eye making them great promotional gifts. They are a brilliant way to promote your business without having to do much more than offering them to your clients. You can pad print these pens, like the plastic pens, but you are also able to have them laser engraved which achieves a classier premium finish. Our Martin Premium Metal Pens are a brilliant example of customised metal pens. Have you picked a favourite? Whether you’re after premium corporate pens or expo items, the friendly team at Promo Planet can assist you. Contact our sales team for more information on pen decoration and delivery options. Are you struggling to decide on how to brand your promotional stubby holders? Hopefully this helps you decide as we offer different types of branding to suit everyone’s needs. Your first, lower costing, option is to have your logo pad printed or screen printed in a single colour. If you have a tight budget but still want an effective and eye-catching stubby then this is what you’re after! Sometimes keeping it classy and simple is the best way to grasp people’s attention. Our Cheap Printed Stubby Coolers are a perfect example of this type of branding. Your other option is to go all out with a full colour print. This is extremely popular however more expensive. This type of branding enables you to fully customise your stubby holder therefore, showcasing your corporate image. Our Stubbies Full Colour Printed are brilliant example of this form of branding. Whether you want to go for something simple yet effective or a striking design we are sure to meet your requirements. Contact our sales team today for more information on custom branded drink holders.